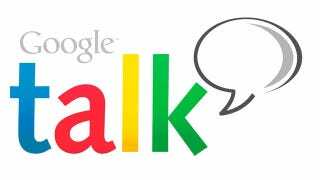 Google is reporting that there's a widespread outage of its Talk IM service. The company explains that it's "aware of a problem with Google Talk affecting a majority of users". Google goes on to explains that "affected users are able to access Google Talk, but are seeing error messages and/or other unexpected behavior." There's currently little news about when the service might return, but Google says it's "continuing to investigate this issue" and will "provide an update by 7/26/12 1:50 PM".